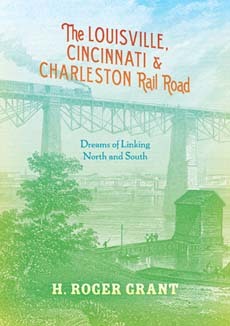 Among the grand antebellum plans to build railroads to interconnect the vast American republic, perhaps none was more ambitious than the Louisville, Cincinnati & Charleston. The route was intended to link the cotton-producing South and the grain and livestock growers of the Old Northwest with traders and markets in the East, creating economic opportunities along its 700-mile length. But then came the Panic of 1837, and the project came to a halt. H. Roger Grant tells the incredible story of this singular example of "railroad fever" and the remarkable visionaries whose hopes for connecting North and South would require more than half a century-and one Civil War-to reach fruition.